Allspice Health Benefits, Dosage, Side effects and Warnings. Allspice is a spice that is the dried unripe fruit of Pimenta dioica also called allspice tree. 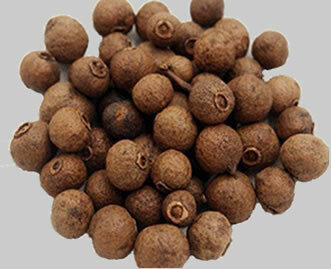 Allspice is popularly used in food preparation for its cinnamon – nutmeg – cloves flavor and scent. Allspice tree is a mid-canopy, tropical evergreen native to southern Mexico, Central America and West Indies. The name "allspice" was coined by an English explorer who thought that allspice is the combination of cinnamon, nutmeg and cloves. Allspice tree grows to a height 10 to 13 meters. The bark is grayish-white that peels in to sheets. Allspice leaves are elliptical in shape that is about 8 inches in length and 2 inches in width. The glossy green leaves have an aromatic scent and leathery texture. White allspice flowers grow from the leaf’s axils. Allspice bears flowers that are male and female. The female allspice flowers turn to fruits that develop into clusters. Allspice fruits are pea sized green to brownish green to purple when ripe. Allspice fruit are harvested while the fruit is immature and green. It is in this stage that the flavor is at its best. Allspice fruit is dried under the sun and are powdered when used. Allspice is the dried fruit of the Pimenta dioica plant. 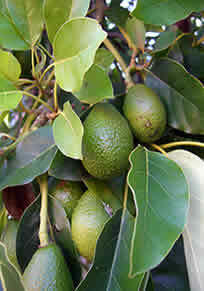 The fruit is picked when it is green and unripe and, traditionally, dried in the sun. The leaves and wood are often used for smoking meats where allspice is a local crop. Allspice can also be found in essential oil form. Allspice oil contains eugenol that possesses anti microbial property. 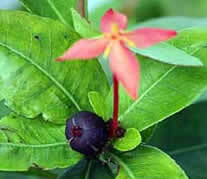 Allspice is also used to provide relief for indigestion and gas. Allspice has a long history of medical usage and has a long list of folkloric health benefits for the following conditions. Digestive Disorders. Allspice is said to cure digestive disorders such as diarrhea, flatulence, dyspepsia, acid reflux and indigestion. Just add Allspice in your daily diet. Anti-inflammation. Fresh Allspice berries when crushed can be mixed with a few drops of oil and massage onto the affected area to alleviate pain associated with rheumatism and arthritis. Flatulence. A teaspoon of dried berries of Allspice made into a tea is effective to coutner flatulence. Skin problems. Grounded Allspice berries made into a paste by mixing with water can be applied to the affected area. Good for bruises, wounds, and stops bleeding. Aphrodisiac. Allspice is believed to enhances sexual potency. 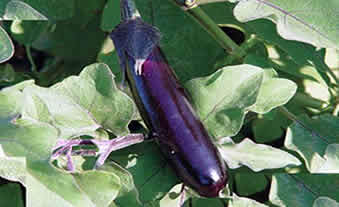 All spice is helpful in the treatment of Sexual Dysfunction. Include Allspice in your daily diet. Fever. 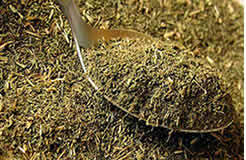 Tea prepared from Allspice is used to alleviate the symptoms of fever. Mouth problems. 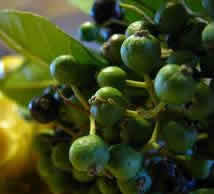 Concoction from Allspice is used to treat mouth problems such as toothache, bad breath and ulcers. Respiratory discomfort. Allspice is known to be beneficial in combating the symptoms of flu, colds and chest pain associated to cough. Appetizer. Allspice is believed to increase appetite and the intake of food. Diabetes. 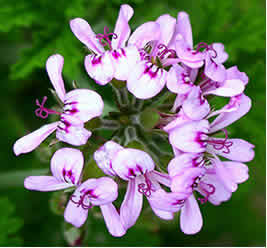 It is said to balance the sugar level in blood that is beneficial for diabetes patients. Menstruation. Allspice is said to relieve the symptoms of menstruation and improves the flos of menstrual blood. Outcomes from the Women's Health Initiative have demonstrated adverse effects associated with hormone therapy (HT), and have prioritized the need to develop new alternative treatments for the management of menopause and osteoporosis. To this end, we have been investigating natural herbal medicines used by Costa Rican women to manage menopausal symptoms. Pimenta dioica and Smilax domingensis, acting as partial agonist/antagonists by enhancing E2-stimulated pS2 mRNA expression, but reducing E2-stimulated PR and PTGES mRNA expression. Both P. dioica and S. domingensis induced a 2ERE-luciferase reporter gene in transient transfected MCF-7 cells, which was inhibited by the ER antagonist ICI 182780. This work presents a plausible mechanism of action for many of the herbal medicines used by Costa Rican women to treat menopausal symptoms. Source: Menopause. 2009 Jul–Aug; 16(4): 748–755. An aqueous extract of Allspice (AAE) was tested against human breast cancer (BrCa) cells in vitro and in vivo. Aqueous extract of Allspice reduced the viability and clonogenic growth of several types of BrCa cells (IC50 ≤ 100 μg/ml) with limited toxicity in non-tumorigenic, quiescent cells (IC50 >200 μg/ml). Aqueous extract of Allspice induced cytotoxicity in BrCa was inconsistent with apoptosis, but was associated with increased levels of autophagy markers LC3B and LC3B-positive puncta. Silencing the expression of autophagy related genes (ATGs) prevented AAE-induced cell death. These results demonstrate antitumor and chemo-preventive activity of AAE against BrCa and potential for adjuvant to mTOR inhibition. Source: Oncotarget. 2015 Jun 30; 6(18): 16379–16395. Antioxidative polyphenols from berries of Pimenta dioica. The ethyl acetate-soluble part of allspice, berries of Pimenta dicica, showed strong antioxidant activity and radical-scavenging activity against 1,1diphenyl-2-picrylhydrazl (DPPH) radical. From the ethyl acetate-soluble part, two new compounds, 5-galloyloxy-3-4-dihydroxypentanoic acid and 5-(5-carboxmethyl-2-oxocyclopenty)3Z-penteny 6-O-galloy-beta-D-glucoside were isolated together with 11 known polyphenols by repeated column chromatography.. All isolated compounds were evaluated for antioxidative effects on oxidation of methyl linoleate under aeration and heating, and on peroxidation of liposome induced by 2-2'-azobis-(2-amidinopropane)dihydrocloride (AAPH) as water-soluble initiator along with their radical-scavenging activity against DPPH. Quercetin and its glycoside showed remarkable activity for scavenging DPPH radical and inhibiting peroxidation of liposome. Source: Biofactors. 2004;21(1-4):301-3. Potential antitumor activities of an aqueous allspice extract (AAE) and a compound purified from the extract were tested on CaP cells. aqueous allspice extract inhibited tumor cell proliferation and colony formation (50% growth inhibition ∼40–85 µg/ml) but not the viability of quiescent normal fibroblasts or non-tumorigenic prostate cells. In tumor cells, aqueous allspice extract inhibited cell cycle progression at G1/S, induced apoptosis or autophagy. Treatment with aqueous allspice extract decreased the levels of AR messenger RNA (mRNA), protein and silenced AR activity in AR-positive cells. LNCaP tumor tissues from aqueous allspice extract -treated mice revealed increased apoptosis as a potential mechanism of antitumor activity of aqueous allspice extract. The compound, eugenol 5-O-β-(6′-galloylglucopyranoside) or ericifolin (EF), showed antiproliferative, pro-apoptosis and anti-AR transcription activities. These results demonstrate a potential use of aqueous allspice extract and EF against prostate cancer. Source: Carcinogenesis. 2013 Aug; 34(8): 1822–1832. Where can I get or buy Allspice? Allspice is commonly available in grocery stores in grounded form. Allspice is also commercially prepared in powder, tincture and capsules taken as supplements. They are available in most fitness and health stores. Online Amazon listed: Allspice Berries Capsules Pimenta dioica . Allspice in food. Allspice is added in food preparation or taken as a pill supplement. Allspice poultice or paste. For joint and muscle pains. Apply and massage crushed allspice berries onto affected area. Oil or water can be added to create a paste. Allspice tea. For infusion, pour a cup of boiling water over a teaspoonful of dried allspice berries. Let it steep for 10 minutes, drink as tea. Drink 1 cup after meals three times a day. Allspice is safe for most adults when used as a spice. However, there is not enough information available to know if allspice is safe in medicinal amounts. Allergy. Allspice have been reported to cause allergic reaction to sensitive people. Pregnancy and Breast feeding. There is no sufficient study done to investigate the adverse or side effects of the use of Allspice herbal medicine during pregnancy and breast feeding. It is recommended to aovoid its use. 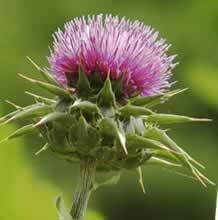 Just like any herbal medicine, moderation in use is recommended.